“Bacon” Made porcine progress this week and became a hometown symbol of freedom for pigs, at least the Vietnamese potbellied variety. 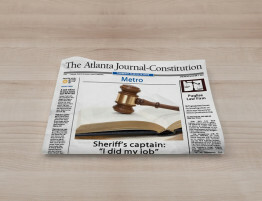 Lilburn officials on Monday decided Bacon could remain with owner Jerry Cole and be considered a pet instead of a farm animal. 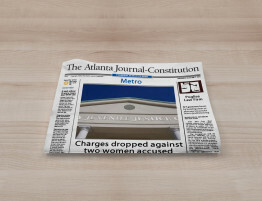 They revised city laws to reflect that decision. 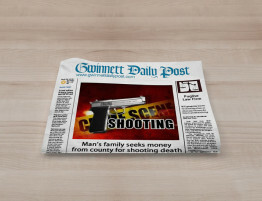 This is not the first time the subject has risen in Gwinnett. 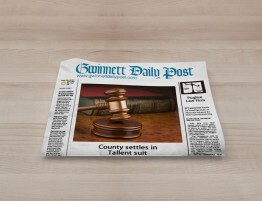 In October 1993, after a growing number of complaints and requests, the Gwinnett County Commission voted to change the classification for the creatures from farm animal to pet. 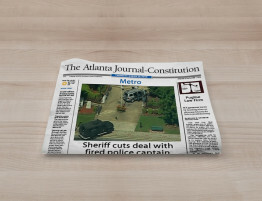 For cities like Lilburn however, the matter was unresolved. “My wife really loves them and wanted one, so last December I bought her one,” he said. “he’s really spoiled,” Cole said. “Kids love him, when they come in with their parents, they spend all their time with him. If you start petting him, he just lays down and rolls over,” he said. Bacon maybe, but not Cole. “I just wasn’t going to give him up without a fight,” he said. 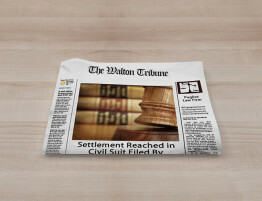 Cole enlisted Lilburn attorney Michael Puglise, who presented the case before the Lilburn City Council on Monday. 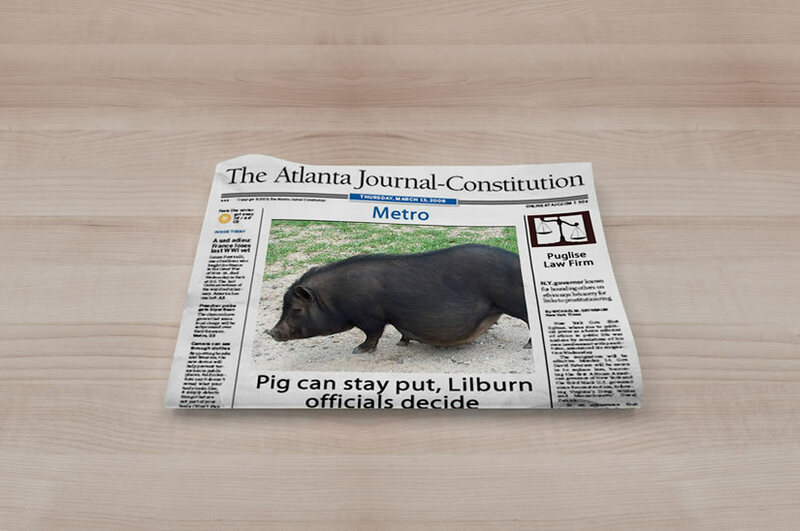 To allow the pioneering porker to remain in the city, Lilburn Mayor Calvin Fitchett said the city had to change its ordinance to classify the pot-bellied pig as a household pet. “I think our society has evolved to the point where this specialty pig is considered a pet, and the council voted to accommodate it that way,” Fitchett said. The newly altered ordinance requires pot-bellied pigs’ owners to keep their squatty on a domestic minimum of 1 acre. It also requires the approval of all adjacent property owners. Cole, who was not in attendance Monday night, received the news over the phone.